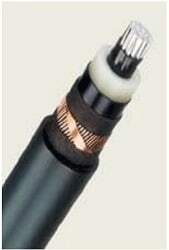 Nexans Cable Description: 19/33kV Single core unarmoured XLPE insulated cables. Rated voltage 19/33kV. Description: Exact data will vary based upon the options required. The cable is suitable for rated voltage 19/33KV according to IEC 60502-2. ♦ See Cable Jointing Tools to enable cable sheath, semi-con screen and insulation removal of BS6622 cables. 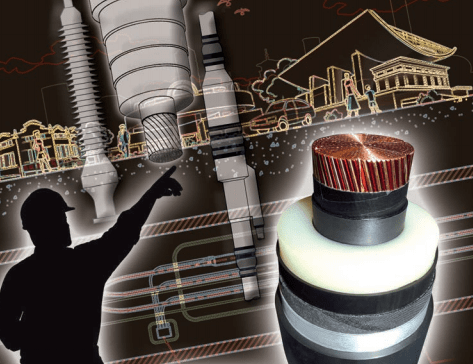 ➡ See HV Cable Joints, Terminations & Connectors to enable the installation of BS6622 6.35/11kV 3 Core SWA Cable – for terminating medium voltage cables into MV-HV gas insulated switchgear, transformers and electrical equipment with outer cone type bushings please see Nexans Euromold connectors – slip-on, heat shrink terminations and cold shrink cable joints from 11kV-33kV (42kV) also available for MV-HV cables. Nexans Euromold screened separable connectors, elbows and Tee-connectors terminate high voltage cables with polymeric insulation (XLPE & EPR) onto switchgear and transformer bushings.